Theresa Cullen: This building isn't in any survey of the park. Bernard Lowe: That's because we use hosts to do most of the surveys. They're programmed to ignore this place. They literally couldn't see it if they were staring right at it. Theresa Cullen: And these unregistered hosts you told me about? Bernard Lowe: I don't know. He may have moved them. Theresa Cullen: What's behind this door? Bernard unsuccessfully tries to contact Elsie. Then, Ford, Bernard and other employees have a meeting with Theresa Cullen and the executive Charlotte Hale. They explain that Clementine is a treat to the guests caused by Ford´s update and Bernard is immediately fired. Charlotte plots a scheme to force Dr. Ford to leave Westworld. However the Machiavellian Dr. Ford discloses a lethal secret to Theresa. Meanwhile Dolores, William and El Lazo cross by train the dangerous Ghost Nation territory. They are ambushed by the Confederate soldiers but El Lazo manages to escape with Dolores and William. 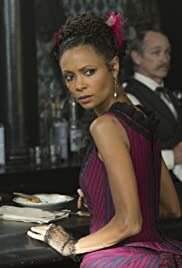 Maeve decides to leave Westworld. 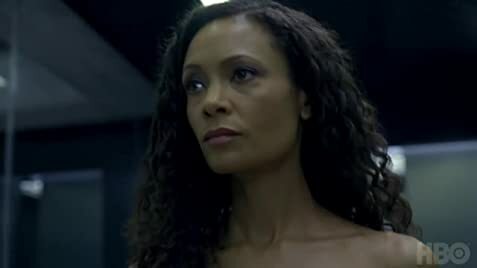 "Trompe L'Oeil" is so far the best episode of "Westworld" with a storyline with more revelations. The fate of Bernard, Theresa and Dr. Ford has many twists and surprising conclusion. What Maeve will do is still an intriguing question and the impossible romance of Dolores and William is engaging. My vote is ten.